"Why, and where, was this happening, you ask? Well, it was France, during the French Revolution. More specifically, during the Reign of Terror, which was a period from September 5, 1793 to July 28, 1794 that was noted for absolutely horrifying numbers of political executions, caused by problems between two revolutionary factions, the Girondists and the Jacobins. Basically (my understanding, and I’m only an amateur when it comes to history), the Girondists were all like, 'Hey guys, we’re against the King too and all, but it’s getting a little out of control.' Then the Jacobins, who had, at this point, been taken over by radicals, were like, 'Anti-revolutionaries! Kill them!' 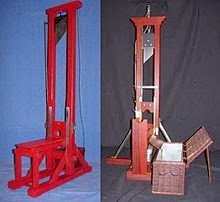 (but in a French accent) and then proceeded to execute over 41,000 people across the country in political executions, largely by the 'National Razor,' the symbol of the bloody revolution more commonly known as the guillotine. "'Republican marriages' reportedly occurred in Nantes, which is now the sixth largest city in France. It’s located in West France, on the Loire River, a bit over 30 miles from the Atlantic coast. Also, although the majority of historical accounts detail death by drowning (specifically in the Loire), there are also a few accounts of execution by being run through with a blade (while tied together). Alternatively, the running through could be followed by being tossed in the river for good measure. "There are some historians who dispute these occurrences, though none who deny that many were executed by drowning in the Loire (I guess we use what’s close by for convenience when it comes to mass slaughter). "A Revolutionary Tribunal was established [at Nantes], of which Carrier was the presiding demon—Carrier, known in all nations as the inventor of that last of barbarous atrocities, the Republican Marriage, in which two persons of different genders, generally an old man and an old woman, or a young man and a young woman, bereft of every kind of clothing, were bound together before the multitude, exposed in a boat in that situation for half an hour or more, and then thrown into the river. 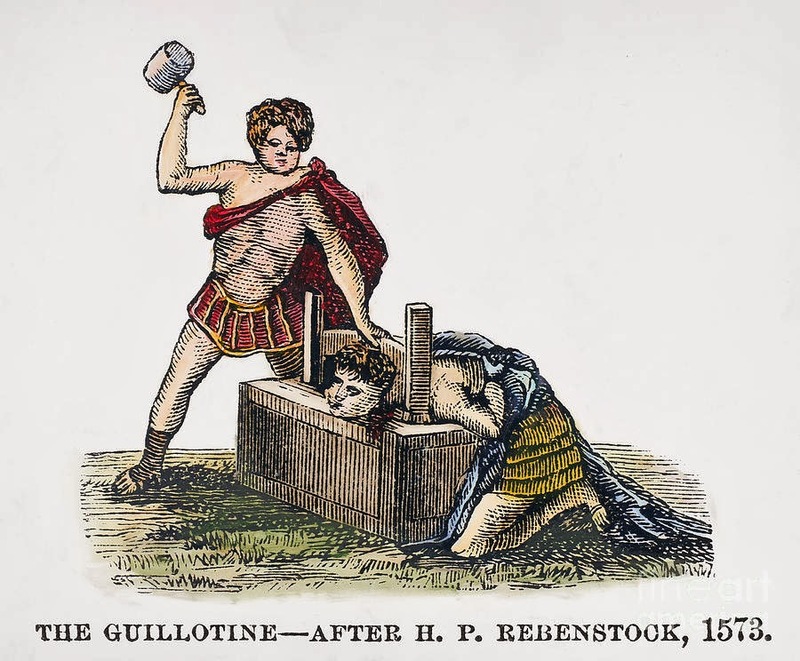 "Although quite a few people were executed this way, the main method of execution across France (including an astonishing 2,639 in Paris alone) was the guillotine, with 16,594 killed that way in all. Historical replicas of French guillotines. "Still beats getting run through and tossed in a river. "Still beats a Republican marriage." The Christian Right goes on and on about how much they love Jesus Christ. When will they get the memo? Jesus was a liberal. 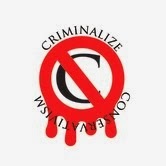 Image by Elisabeth Parker for Addicting Info. "Have you ever wondered why right-wing Christians keep saying they love Jesus Christ, even though their toxic beliefs have nothing to do with what Jesus said, taught, or stood for? 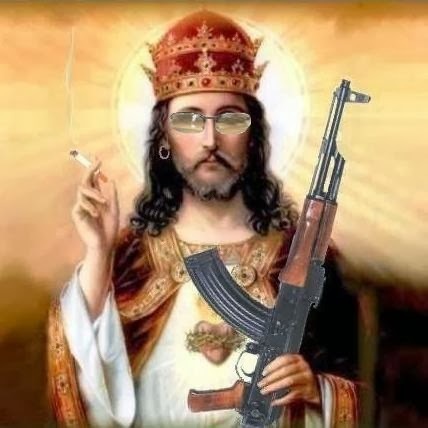 Whether you believe He was our savior, or just a great teacher in history, have you ever suspected that if Jesus Christ lived today, he would have been a liberal? Well, you were right all along. Jesus was a liberal. And we’ve got 15 quotes to prove it. – Like many liberals, Jesus Christ scorned phony displays of religion." "(2) The 10 Commandments: As far as we can tell, the leaders of the Christian Right don’t obey the laws inscribed on the tablets Moses brought down from Mt. Sinai, let alone the ones Jesus valued most. When crowds asked Jesus Christ what He saw as the most important of the 10 Commandments, His reply reflects the values of today’s liberal Christians. Jesus clearly sees a pure love of God and for our fellow human beings as the bottom line for being a Christian: 'Thou shalt love the Lord thy God with all thy heart, and with all thy soul, and with all thy mind.' And: 'Thou shalt love thy neighbour as thyself. On these two commandments hang all the law and the prophets.' [Matthew 36-40 KJV]. "(3) The 'War on Christmas': We’ll never know what Jesus would have thought about Christmas décor and baby-in-the-manger scenes at City Hall. But He probably would have found conservatives’ rantings about “The War On Christmas” puzzling. As many savior-savvy liberals would quickly point out, Jesus Christ didn’t celebrate Christmas: He was Jewish, and would have observed Hanukkah (if Hanukkah had existed then, which it didn’t). – Jesus Christ agreed with liberals when it comes to paying taxes and keeping Church and State separate. "(5) Separation of Church and State: The Christian Right keeps trying to force their beliefs into our legal system, and to fund their churches and schools with taxpayers’ dollars. Like modern folks in the USA, Jesus Christ lived in a huge empire with diverse religions and ethnic groups. Many of Rome’s laws and customs were against his people’s customs and beliefs. But – like most liberals – Jesus Christ clearly believed that Church and State should be separate, as shown in the above quote. – Jesus Christ’s views on income inequality and capitalism were very similar to those of liberals. "(7) Capitalism: Right-wingers are ever in search of ways to promote and justify the unfettered capitalism Pope Francis rails against. But they won’t find any help from their Savior, Jesus Christ. He loathes capitalism, even more than most of today’s liberals here in the US. Pretty much the only time we ever see Jesus lose his temper is when he returns to Jerusalem with his disciples and finds the Temple full of bankers and vendors. He doesn’t just yell at them, he destroys their booths and drives them out with a whip that he makes on the fly. One can only imagine how Jesus would feel about Black Friday. 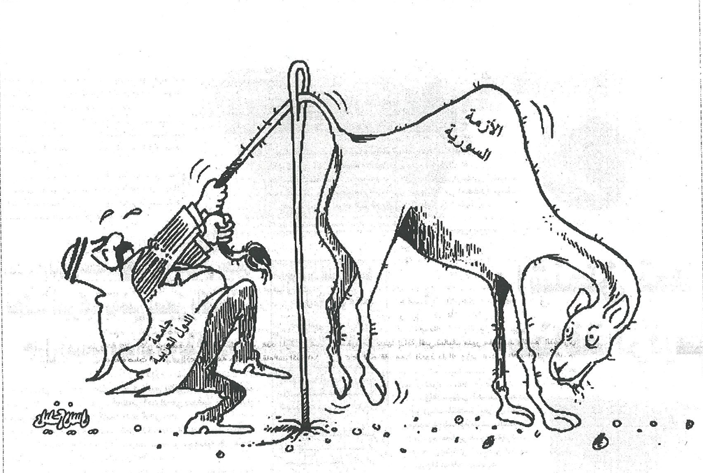 – Jesus Christ believed we should help each other, as liberals do today. "(10) Social justice: Unlike the right-wing Christians who pay only lip service to Him, Jesus Christ was a strong advocate for social justice. Martin Luther King Jr. and other much-loved liberal icons were inspired by His life and teachings. Jesus not only demands that the rich share with the less fortunate, but insists that if they don’t, they are heartless. 'But whoever has this world’s goods, and sees his brother in need, and shuts up his heart from him, how does the love of God abide in him?' [1 John 3:17 KJV] Take THAT, Koch brothers. – Like today’s liberals, Jesus Christ rejected the double standard for women and preached tolerance. "(12) Abortion: Unlike the Christian Right, which won’t shut up about a fetus’ 'right to life,' Jesus Christ never talks about abortion. But in the tale of the bleeding woman (Luke 8:43-48 KJV), Jesus clearly rejects irrational taboos and religious rules against women. While walking through a crowd, a woman who had been bleeding for 12 years, touched the hem of Jesus’ garment and it healed her. 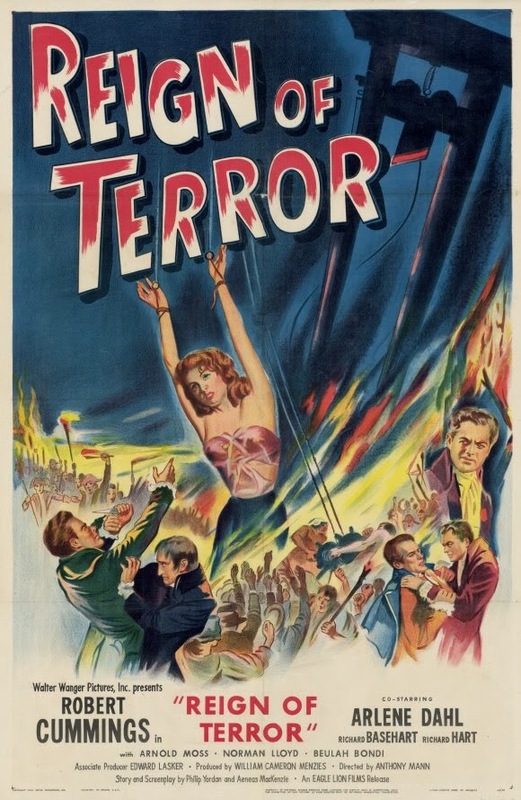 She then cringed away in fear (the 'issue of blood' seems to have been coming from down there, which meant that touching a man would give him 'unclean' woman cooties). Instead of casting her away, Jesus did the liberal thing and said, 'Daughter, be of good comfort: thy faith hath made thee whole; go in peace.' It’s too bad the 'Christian' folks who run this country — and some hospitals — think their weird religious rules are more important than a woman’s health. 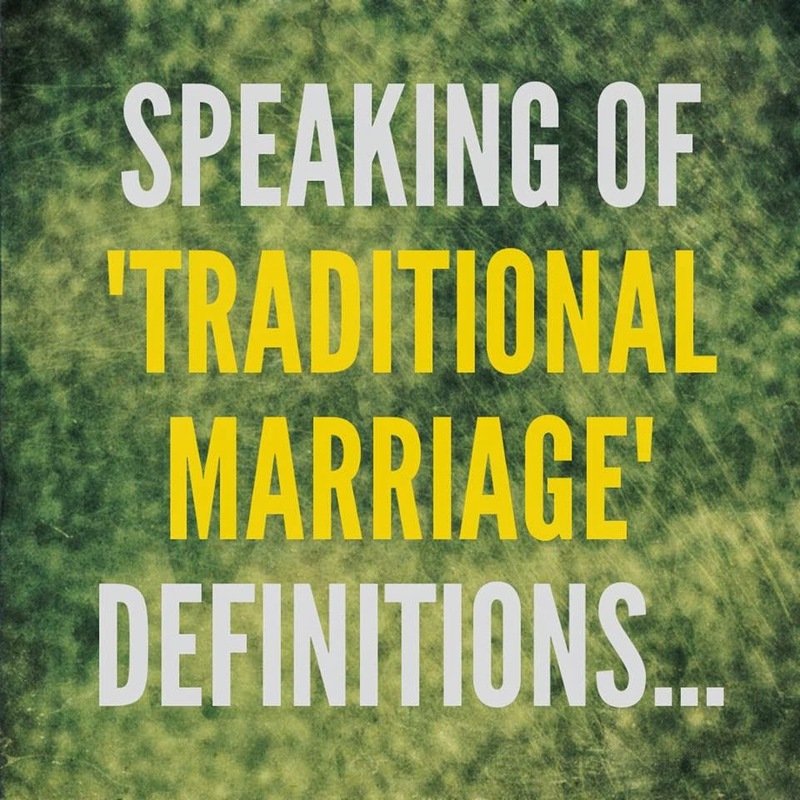 "(13) Marriage equality: Strange, but even though our right-wing Christian friends are all in a lather over gays getting married and LGBT folks’ having the nerve to simply exist, Jesus Christ never uttered a single word about gays and other non-gender conforming people. 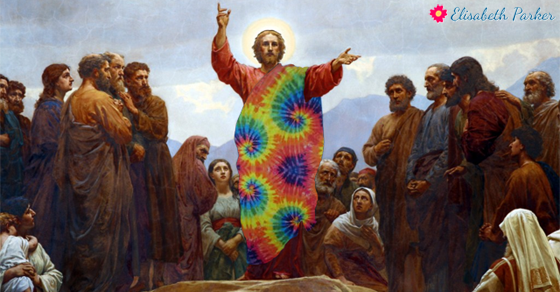 He was too busy spreading his love, healing, loaves and fishes, and miracle wine around to bother with hating … kind of like one of those liberal hippies from the 1960′s. Like many liberals, Jesus Christ preferred peace to war. "(12) War: During his famous Sermon on the Mount, Jesus Christ said, 'Blessed are the peacemakers: for they shall be called the children of God.' [Matthew 5:9 KJV] This event took place shortly after Jesus Christ was baptized by John the Baptist, and is considered to be central to his teachings. The Sermon on the Mount was radical because of its ideals of peace, love for one’s neighbor, love of God, and striving for purity of heart. Liberals share most of these ideals, even if they don’t believe in the same god (or goddess) … or any god(dess) at all. "(15) On race: Although Jesus Christ lived in the remote region of Galilee for most of his life, He was born in Bethlehem and had traveled to Egypt and Jerusalem as a boy. He was probably more well-traveled than many people of his time, and had come across people of many cultures, colors, and nations. Jesus clearly shows that he sees no person as above another one when he said, 'Verily, verily, I say unto you, The servant is not greater than his lord; neither he that is sent greater than he that sent him.' [John 13:16 KJV] Also, he was known to consort with all sorts of people who would have seemed scandalous to proper Jews of his time, including women, lepers, Roman tax collectors, his motley crew of fishermen-turned-apostles, and even — gasp — Mary Magdalene, who had a bad (and likely untrue) rep as a loose woman. It is unlikely that Jesus would have thought one race or skin color to be better than another. "NOTE: It is doubtful that Jesus Christ even would have been what we now call 'white.' The Bible does not describe how He looked (other than things like 'shining' and 'radiant'). 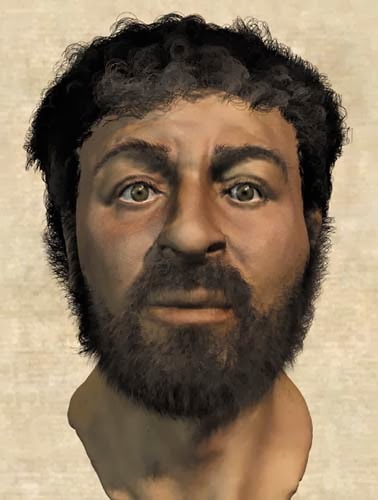 But, since Jesus and His family came from the Middle East, He is likely to have looked like today’s people from that region: Olive-skinned, dark-haired, and dark-eyed. The "National Razor" may be more of a Gallic thing than American, and drowning and swordplay don't seem a very efficient means of eliminating the country of Conservatives either, but France did eliminate over 40,000 pesky Conservatives after the Revolution, making the country safe for the 98 percent until Napoleon came along. A few of you may have noticed the misnumbering on the second piece, but no mattter, we've reprinted it as-is - and it's just added material for the next time you debate a defenseless Sheeplet online. Sheeplets beware, you have nothing to lose but your poorly conceived religious and political beliefs. Next: More of the same?